My roommate made dinner the other night with spaghetti squash. Although it may not be in season, it was still a light dish that had a summer flair to it. Roast the spaghetti squash until tender and scoop out the flesh with a fork. Transfer to a bowl. Saute the onion and garlic in the olive oil until translucent, add the squash to heat. Once heated through transfer to a large bowl and toss with tomatoes, cheese, olives, and basil. Salt and pepper to taste. Serve inside the squash for presentation. Mix all ingredients together bring to a boil, stirring occasionally. Simmer about 20-30 minutes. To check if jam is finished, take a spoonful of jam and put it on a cold plate. 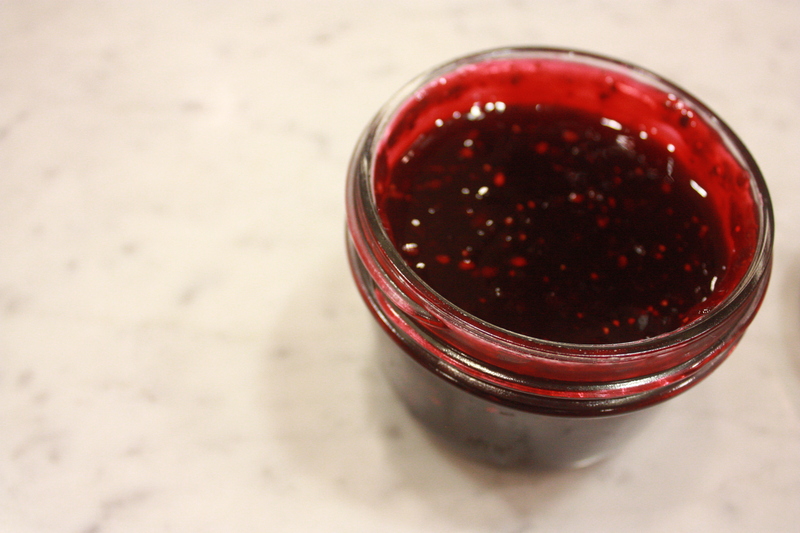 If it gels or wrinkles when you touch it, the jam is ready to be transferred to a jar and canned, cooled and refrigerated, or used immediately as a warm sauce. Great with vanilla ice cream. In honor of my lovely friend A.M. over at Together Cooking, I’ve been on a mission this week to create my own gummy candies. 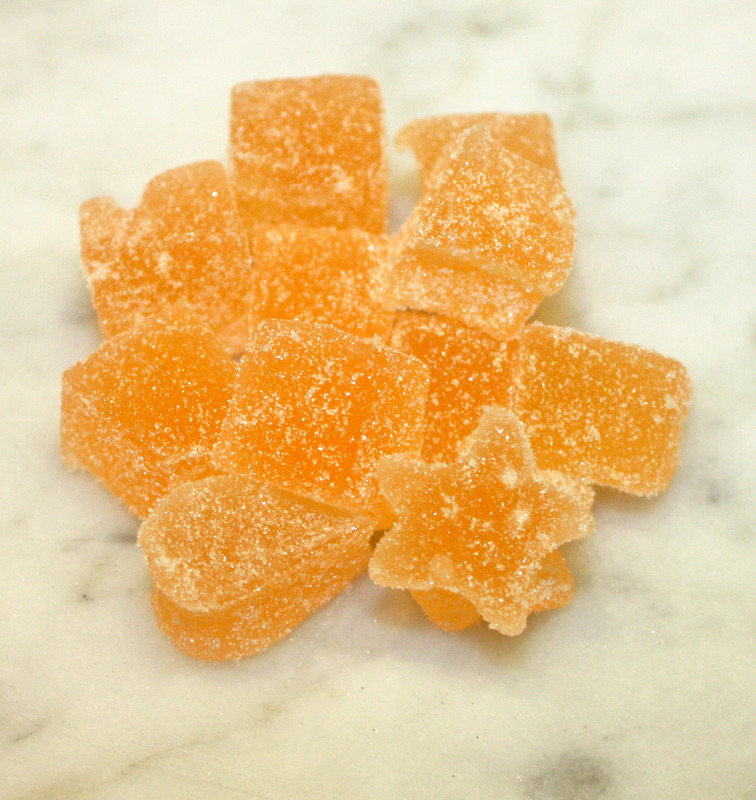 I have yet to find the perfect gummy bear recipe but this recipe for pectin gummies came out really well. The texture is firmer then when I made it with gelatin and does not call for a box of jell-o. Lightly oil enough candy molds to make 36 medium-size bears, or a 9×13 inch pan and set aside. Bring pectin, baking soda, and water to a boil over medium heat, stirring until pectin is dissolved and the mixture is thick and smooth. Turn off the heat and cover to keep warm. Do not let it set. In another sauce pan bring the corn syrup and sugar to a boil, stirring until the sugar dissolves. Cook until a candy thermometer reaches 260 F.
Add pectin mixture immediately and cook 1 minute, pour into prepared pan or molds and let firm. If using molds: sprinkle with superfine sugar and remove with fingers. If using a pan: remove entire sheet from the pan and cut out with small cookie cutters. Toss in a bowl of superfine sugar until separated and no longer sticky. I have to say that the more involved I get in the foodie community the more surprised I am that there is so much support out there. Sure there are people that want you to fail but many chefs support each other and appreciate good food. I hope to be among them someday. 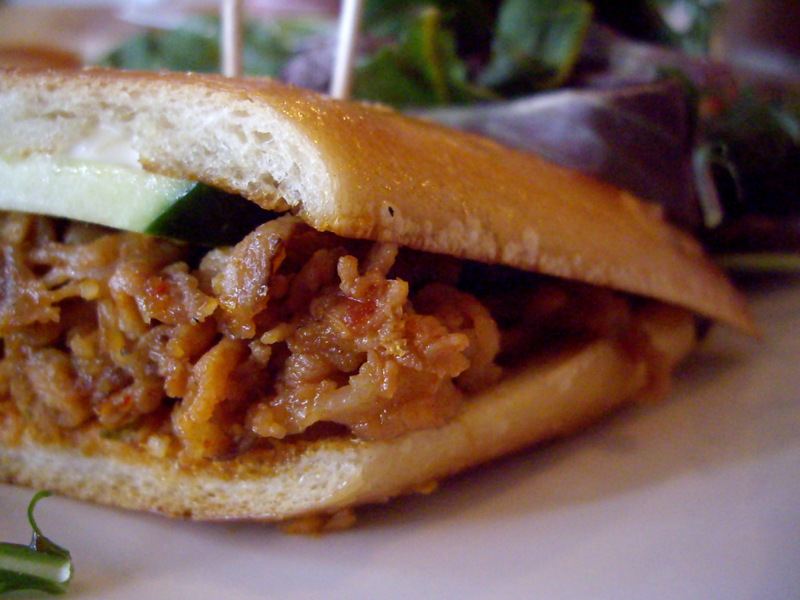 Tried Abricott in Pasadena and had a delicious spicy pork belly sandwich with kimchi, mayonaise and cucumber. It was one of the better sandwiches I have had in a while. While I was not super impressed with the Croque Monsieur, I would definitely return for the pork belly. 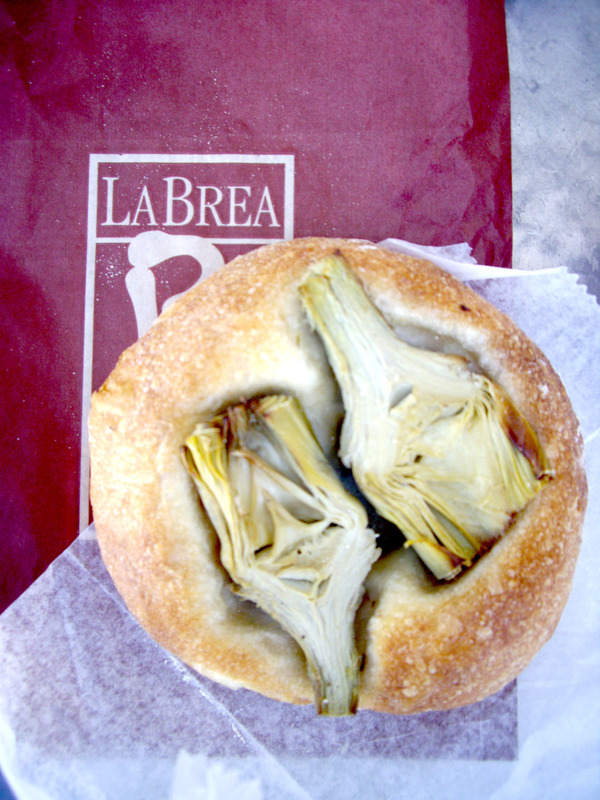 It had strong flavors but was not overly spicy and the thin crust bread was a welcome addition. Many times the thick french bread normally served with Asian style sandwiches is too much for me. I prefer being able to taste the center of the sandwich. 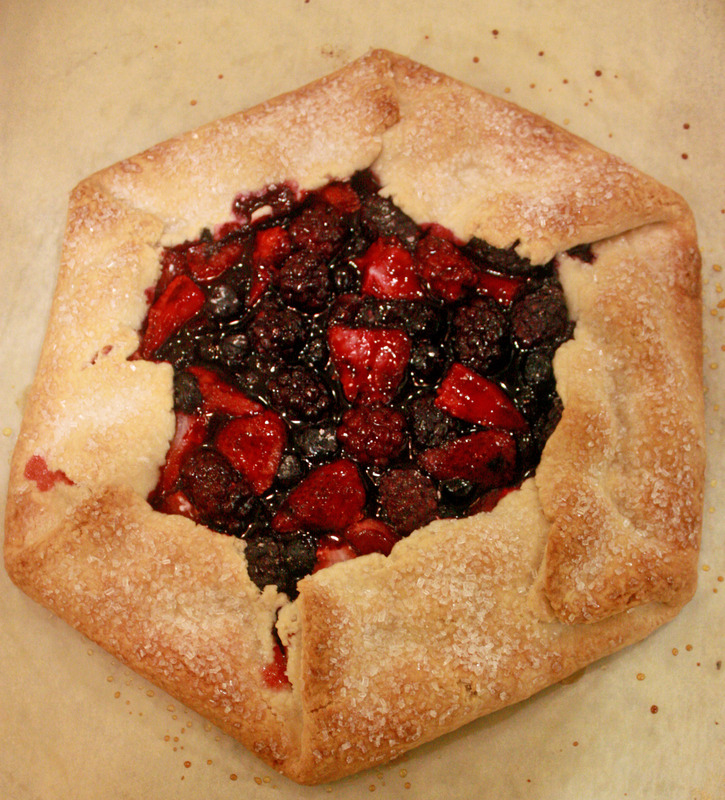 Made a lovely berry crostata at work today although I have to wait until sundown to taste it. It was a simple recipe based off Nancy Silverton’s Tart dough, filled with fresh berries tossed in a little sugar and cornstarch. It went quickly amongst the staff but I managed to safe myself a piece and snag some extra dough to try a savory crostata for dinner. 1. Preheat the oven to 400 degrees. Combine the dry ingredients in a food processor and sprinkle the butter on top. Pulse until the mixture resembles moist cornmeal. 2. Sprinkle the ice water and vanilla over the top of the dough and mix until it comes together and pulls away from the sides of the food processor. 3. Remove, wrap in plastic, and refrigerate for at least 30 minutes. 1. While the dough is chilling, gently toss the berries, sugar and cornstarch until the berries are well coated. 2. Roll the dough out into a circle, about 16 inches, leaving it a little thick. Move to a cookie sheet and place the fruit in the middle, leaving about a 2 inch border. 3. 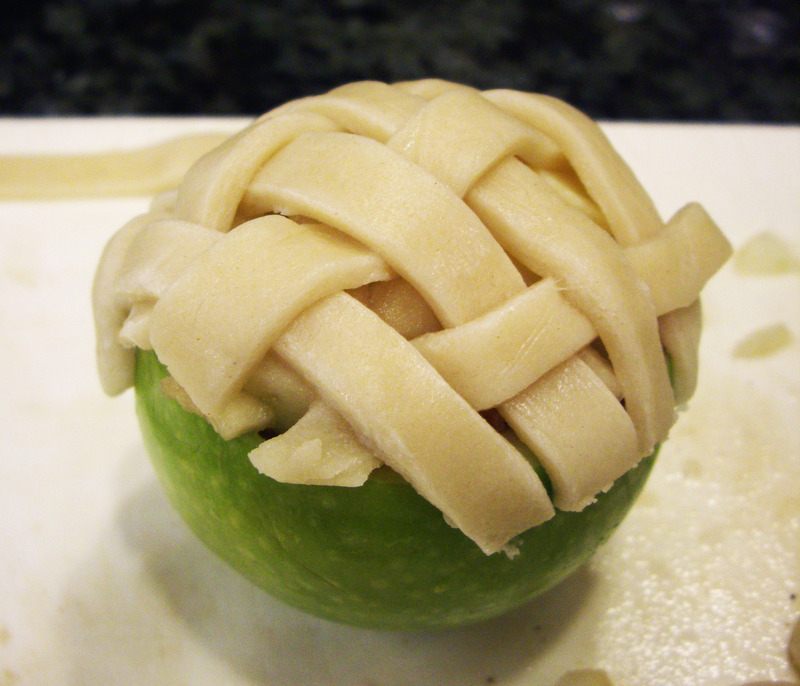 Pleat the edges over to form a six sided tart with the fruit showing, pressing each pleat firmly. 4. Brush the dough with water and sprinkle with coarse sugar. 5. 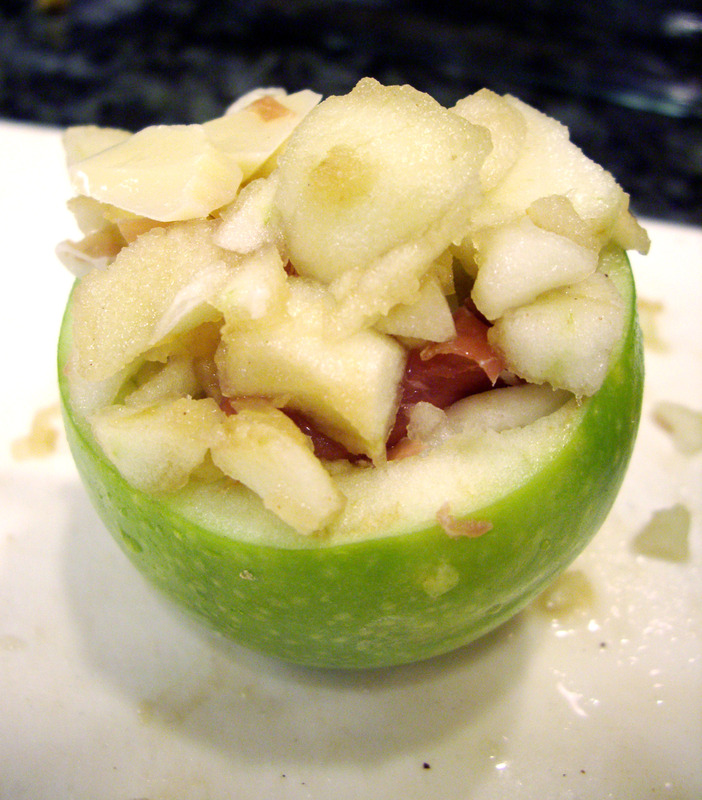 Bake until the crust is browned and firmed and the fruit is thickened about 30-35 minutes. I saw this recipe via craftzine and it was too cute not to try. It was just my luck at work that we had a few leftover apples to play with as well as some leftover pie dough from the quiche we were working on. I made a total of four, two similar to the recipe from Paper Plates and China, and two improvised based on N.C.’s idea to make one savory. 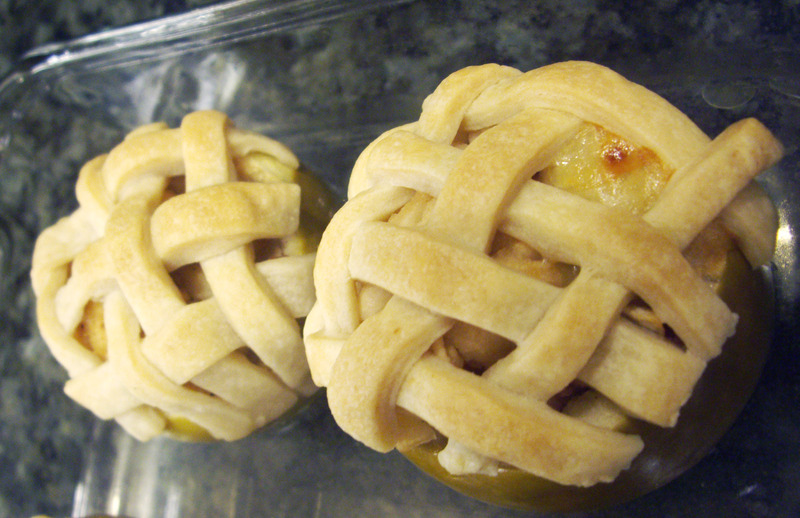 I chopped the apples, added a little salt, some Gruyere, prosciutto and topped it with a lattice crust.